Check our upgrade policy for CardWare prior to CardWare 7.0. Full hot swap and Plug-and-Play of all compliant PC cards, including LAN, SCSI, ATA, WLAN, FLASH, SRAM and much more. Automatic configuration for nearly any cards. 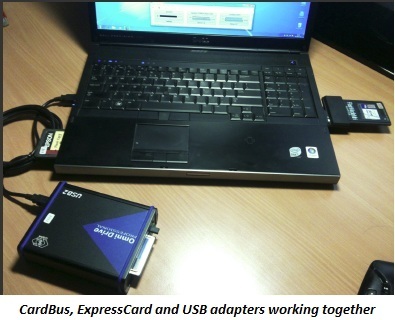 Fully PC Card Standard compliant, including Card and Socket Services API in all OS. Advanced power management for optimal battery usage. Handy User Interface as centralized place for fine-tuning of PC Cards configuration. Supports new cards with no updates required. Socket services for all major PC Card controllers.